for $835,000 with 4 bedrooms and 2 full baths, 1 half bath. This 2,280 square foot home was built in 2004 on a lot size of 4.7700 Acre(s). Beautiful single level home with 2, 280± sq. 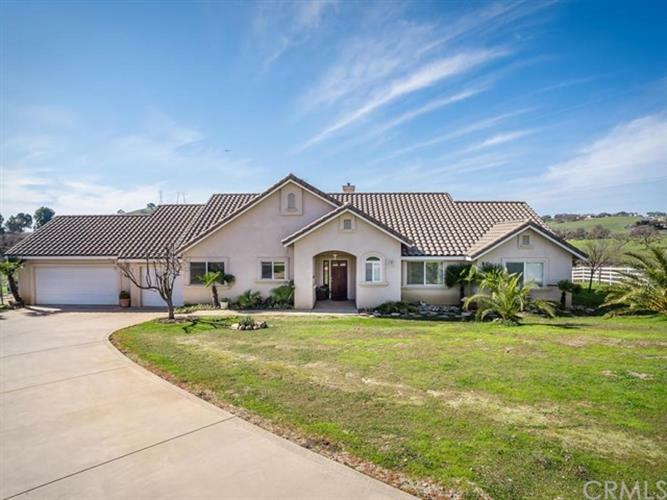 ft. of living space, 4 bedrooms and 2.5 bathrooms on 4.7± acres. The home features an open floor-plan, a two-way fireplace between the living room and dining room, vaulted ceilings, tile & carpet floors, handsome cabinetry, recessed lighting, 2 large sliding doors to the patio and Milgard windows. The spacious Master retreat is located in a separate wing from other bedrooms with its own door to the back patio. There is a Jack & Jill bathroom. The concrete driveway leads to the 3 car garage. 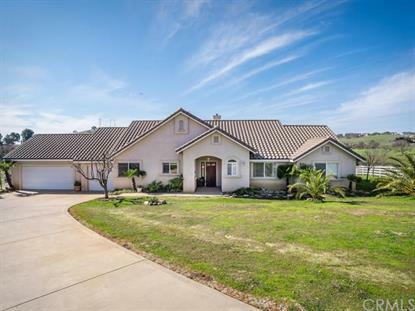 Bring your horses; the property is fenced with high-end 4 rail white vinyl fencing. For the horse enthusiasts, there are Equestrian facilities that are not too far away. Conveniently located between Templeton and Paso Robles!